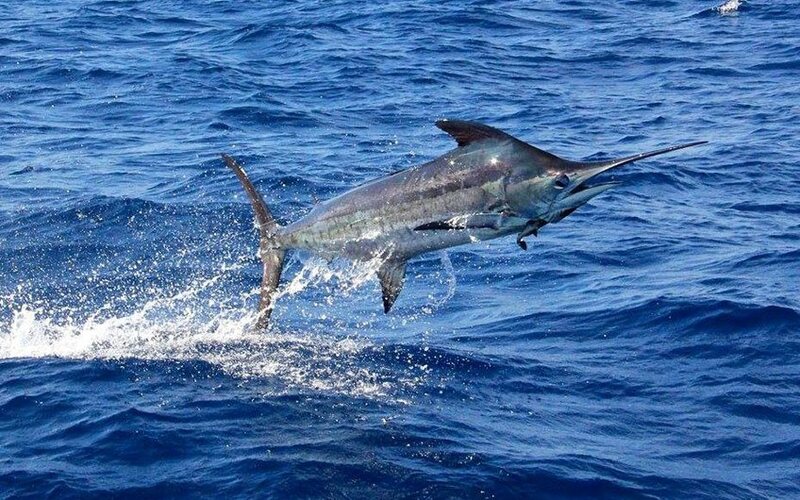 There is no doubt that Costa Rica has a privileged position, between two big water masses: Caribbean and Pacific coast, which gives the tourists the opportunity to come and experience this great sport: the sport fishing. There are a lot of companies specialized in sport fishing in Costa Rica and one of the main reasons is that our lakes and rivers help the development of the activity by having a lot of biodiversity. The country offers an amazing variety of fish, so the fishermen will surely be like sailing in paradise. No matter if you are looking for in or off shore fishing, here you can find options for all the tastes and needs. 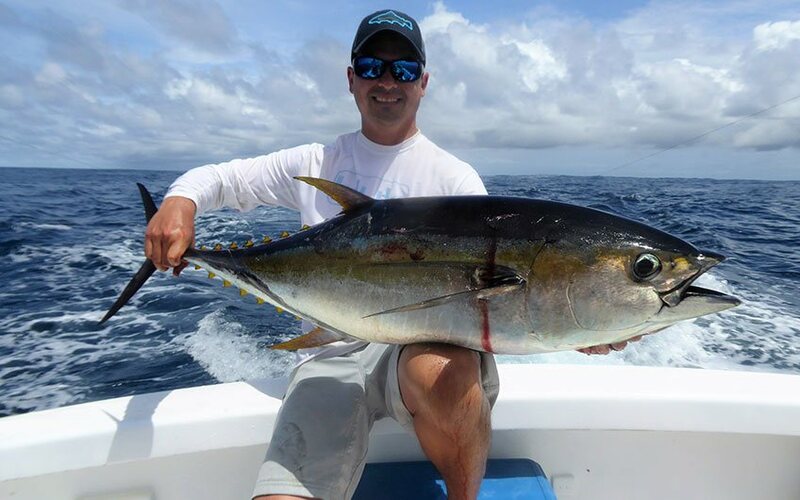 Your family trip to Costa Rica can also include fishing, if you are looking to have unforgettable experiences and different activities, this is actually one that suit for your next trip. The best family vacation in Costa Rica must have water sports, and this is absolutely a good decision, a quiet but amazing tour, especially for those that do not like extreme adventure. We have had some sport fishing competitions, you must have fishing license that is a kind of permission to do this activity, so you can make sure that it is a controlled activity, nothing out of law or illegal. Most of the companies that offer these tours are certified and can help you getting the license, it is very easy by the way. On the Caribbean coast you should go to Barra del Colorado or Tortuguero, “our little jungle”, this last one is surrounded by canals with exuberant vegetation and it is a protected area too, there you will have an unparalleled trip, there are no roads so it is more interesting. Hotels there offer you complete packages with transportation to and from San José, all meals and tours on the canals but you can easily get a sport fishing tour from there. Nice, small and cozy lodging options are available. Tarpon fish is the most common species in the place. The North Pacific is another place where you can practice this sport, the most common areas there are Papagayo and Flamingo, it is due to the marinas that are located there. The closeness to Liberia Costa Rica, makes it a really good option, there are a lot of hotels, including some well-known Costa Rica all-inclusive family resorts. Marlin, Sailfish and Roosterfish are some of the species that you can find in the area. It is also important to mention that in the Central Pacific, we can also find other marinas – Pez Vela, located in Quepos, very close to Manuel Antonio National Park, where you can stay in beautiful small hotels. The other marina in the Central Pacific is the Marina Los Sueños and it is located in Herradura in the Jaco area. Central Pacific is characterized by having Marlin, Sailfish and Tuna. In the South Pacific area of the country we have species like Roosterfish, Sailfish, Marlin, Wahoo and more, this is an area with a big biodiversity, there are also hotels specialized on the activity. Beautiful and secluded hotels are located there, it is a very rural and authentic area that you must visit while you are in Costa Rica. This activity is positioned as one of the most important in Central America, it annually generates many jobs in a direct or indirect way because it is part of an economical chain, especially for locals who also live from fishing. 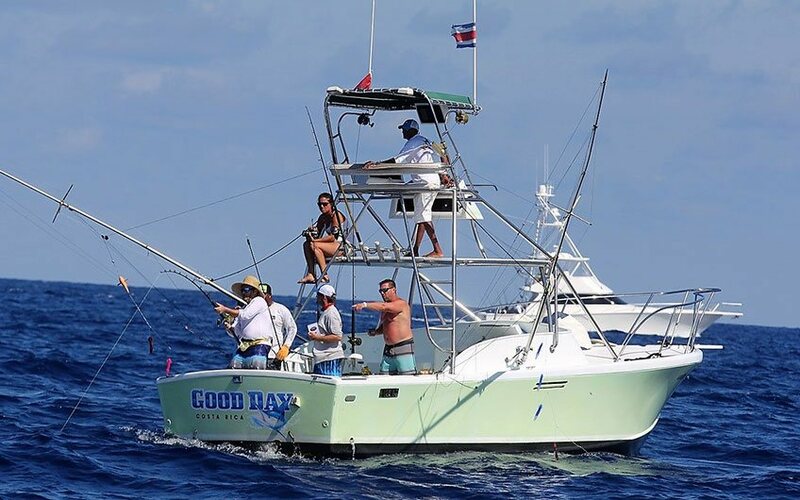 When you buy a fishing tour you are helping that chain, first because most of the captains are locals who know very well how and where the best spot for the activity is located, and then you will use their boats. Also, if you are staying in these communities, you will be contributing with those who work in the tourism industry, considering hotels, restaurants, drugstores, bars, grocery and more, so many people are benefited of it. Besides, you will contribute on the protection of the natural resources of the country, as the permission for fishing do not allow to catch and commercialize the fishes, it is just catch and release so we are preserving the different fish species. We are able to offer you different vacation packages including fishing. You just have to contact us if you want to have more details about this activity, remember that you can help us to the coast development and we can guarantee the protection of the marine life. All you need to know about Turtle Nesting in Costa Rica!